We've listed just a few of our Top Selling items. We carry Brake Pads and Brake Discs for every popular car and light commercial. Please contact us with your vehicles details and we can get you a competitive quote. **Same day dispatch - Guaranteed. If you need Brake Discs & Pads, we've got it. At AutoFastFit we pride ourselves in keeping premium brand Brake Pads and Discs we trust. Our brands offer superb quality and value. AutoFastFit has been selling and fitting brake discs and pads for many years and have found that Apec, Ferodo, Mintex and BrakeFit Braking helps us offer a hassle free product range to our customers. Auto Fast Fit guarantee to keep the Latest Products, with our vast range of parts covers 99% of all cars and LCV's in the UK and Ireland. To make sure we maintain this unrivaled level of coverage, we are constantly introducing new parts to service manufacturers recently release models. With Apec Brakes we always goes the extra mile and our new guarantee goes much further than that. We guarantee every complete axle set of matching Apec discs and pads for two years or 24,000 miles. Our 2Y24K guarantee proves we’re confident about the quality and consistency of our braking products. It sends customers exactly the right message for today’s economic climate: Apec = unbeatable value and peace of mind. Auto Fast Fit use Apec as their discs are precision made to match the high standards and consistent braking characteristics provided by Apec brake pads. So when replacing worn discs with new Apec discs, be sure to fit Apec pads for optimum matched braking performance. Apec discs are produced to fine tolerances and exacting specifications, for uniform thickness and hardness, and easy fitting. Using only high quality materials ensures that Apec discs effectively withstand constant heating and cooling, and are highly resistant to warping. Apec brake discs are available across a wide range that not only includes modern cars and LCVs, but also older vehicles from the 1960s onwards, please contact Auto Fast fit for availability. 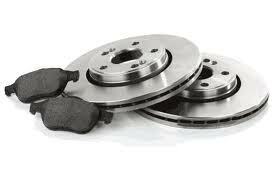 For optimum braking performance, we recommend you also fit new Apec pads when fitting new Apec discs. When Apec discs and pads are fitted together as a matching axle set, they are covered by our Apec 2Y24K guarantee. Apec brake discs are produced in modern factories to exacting performance standards that ensure they are direct replacements for OE parts. They are tested to homologation protocols, which cover not only braking performance over a range of temperatures and pressures, but also disc integrity, thermal cracking and DTV (disc thickness variation). Apec is Auto Fast Fits's main Brake Pads supplier. Apec offers the most advanced, comprehensively tested and environmentally friendly brake pads for the aftermarket. Over 18 million Apec brake pads are produced every year, to cover 99% of all cars and LCVs in the UK and Ireland. This includes not only modern cars, but also older vehicles from the 1960s onwards, contact Auto Fast Fit for more details. All Apec brake pads are precision-made in Europe, using advanced robotic technology for constant accuracy and easy first-time fitting. The manufacturing process includes the friction material, back plate and shims, ensuring consistent high quality. Pads then undergo rigorous and extensive testing. 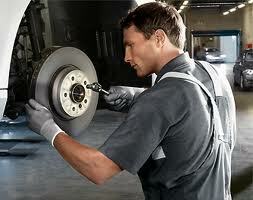 For optimum braking performance, we recommend you also fit new Apec discs when fitting new Apec pads. When Apec pads and discs are fitted together as a matching axle set, they are covered by our Apec 2Y24K guarantee. Apec pads are subjected to tough tests to make sure they meet our exacting criteria for outstanding performance, comfort and safety. Testing takes place in laboratories, on test tracks and mountain roads. Pads undergo extended dynamometer tests, to simulate continual everyday and extreme driving. On the test track, the pads are installed in a variety of cars and repeatedly subjected to high speed braking, and aggressive stop-start city driving. Again using different types of car, the pads are tested during average speed and high speed descents of the demanding Glossglockner Alpine pass, which falls with an average 12% gradient from 2571m, over 16km. Despite minimal time allowed for the descent, the pads must not exceed strict limits for their final temperatures and must still demonstrate safe stopping ability at the end of the Pass. Apec brake pads are subjected to, and pass, tests which are often considerably more demanding than the R90 and R13 standards set by the international motor industry. Apec Braking is naturally concerned about safeguarding the environment. Apec brake pads make a positive contribution through the HPT manufacturing process. With HPT, harmful gases that are normally released into the atmosphere during the bedding-in stage while driving, are contained and treated in the laboratory. Thorough air filtering and scrubbing means all the harmful gases are neutralised, making the process safe and eco-friendly. Apec friction material also exceeds EU regulations, by completely eliminating heavy metals such as lead, copper and antimony.